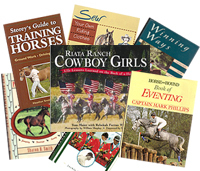 Cherry Hill’s groundbreaking bestseller, How to Think Like a Horse, showed readers how horses think, learn, respond to stimuli, and interpret human behavior. In this must-read follow-up, What Every Horse Should Know, Hill explains how horses learn and how we can help them develop the confidence and skills they need to live safely in the world of humans. Mastering these lessons is critical for horses and their handlers so that the partnership can reach its full potential. Cherry Hill’s thoughtful and informed words will intrigue anyone seeking to enrich and strengthen the horse-human relationship. What Every Horse Should Know is a fascinating read and a timeless reference.